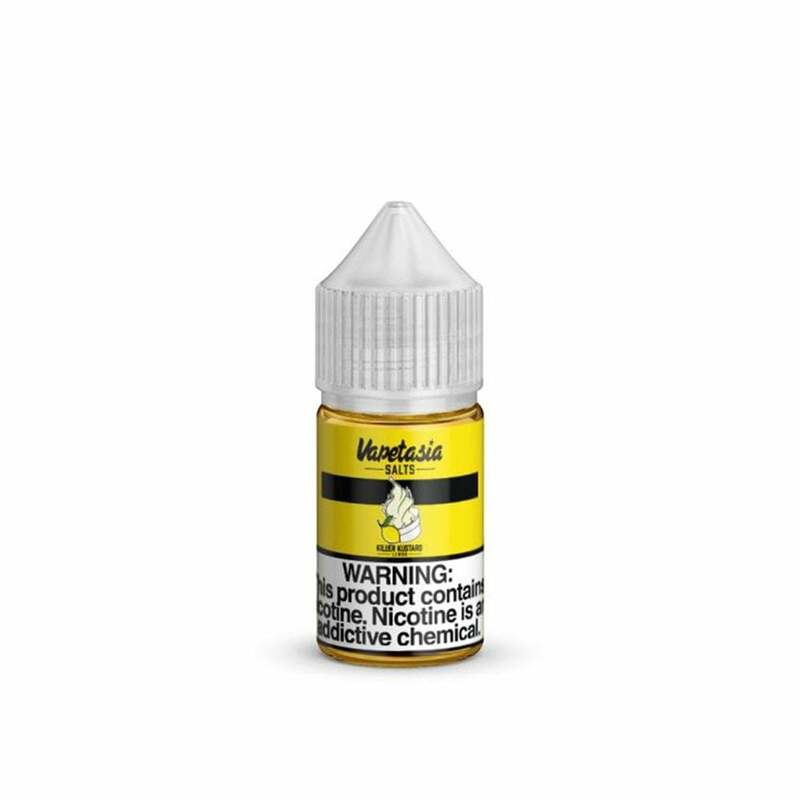 Killer Kustard Lemon 30ml Nic Salt by Vapetasia combines their famous vanilla Killer Kustard with tart lemons to create a sweet vanilla lemon nic salt juice. Vapetasia's nicotine salt formulation adds an extra level of satisfaction to every hit you take. This does not taste like vanilla custard, nor lemon. Maaaybe sour milk mixed with cleaning product. I am so disappointed - it is unsmokable.